If you’re a Realtor discounting fees, you had better be able to offset the decrease in fees with an increase in deal flow. Troy Ott has a unique program that features a 1% Sells Commission (see more at TroyOtt.com); however, he needed to create a website that could both tell the story and one that could get the necessary traffic to make the business model work! We coordinated his website development, social media and SEO (Search Engine Optimization) to allow his business to be in highest possible position when his client demographic performed searches on Google. 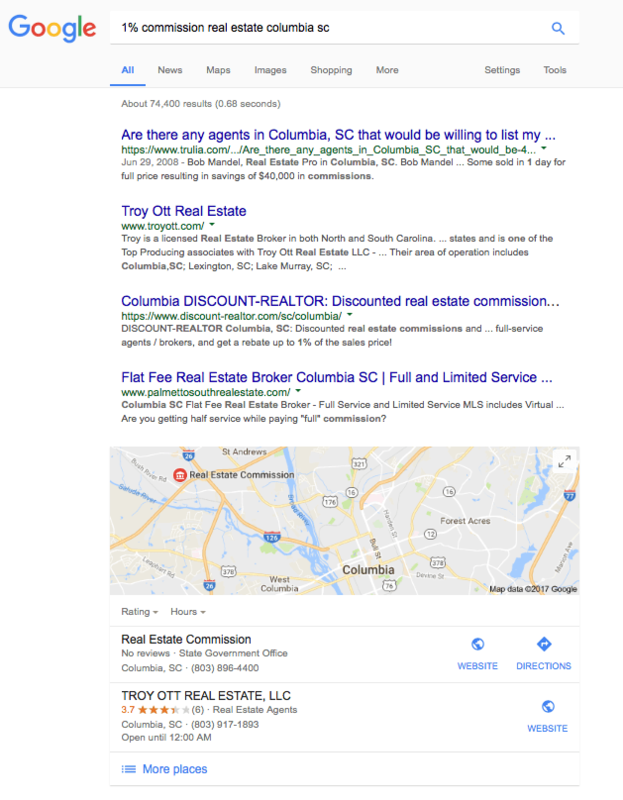 We also carefully considered other searches where Troy’s likely potential clients were expected to be looking. Troy is uniquely positioned to find his “ideal” clients. 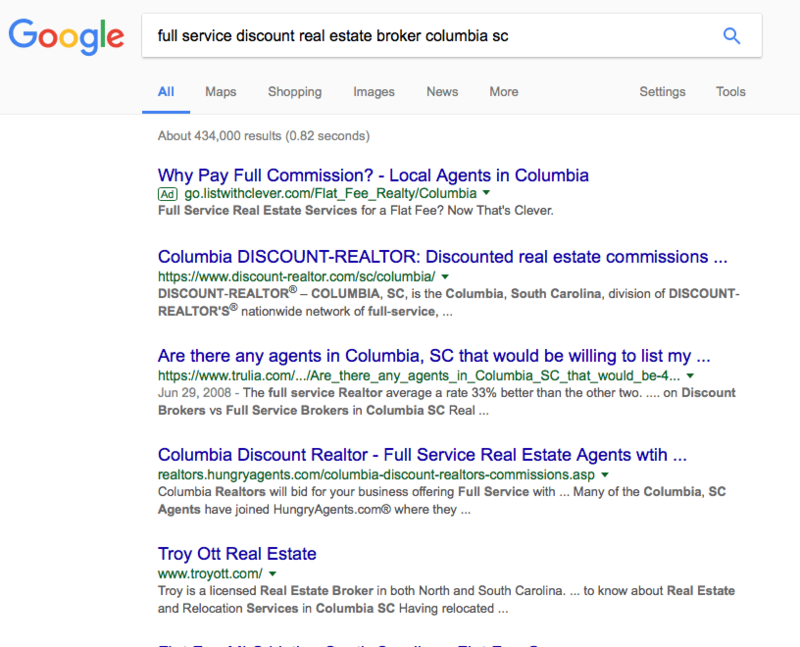 Troy’s business brand stresses “Full Service” at a “Discounted Price.” Now, his Google placement echoes this business identity! 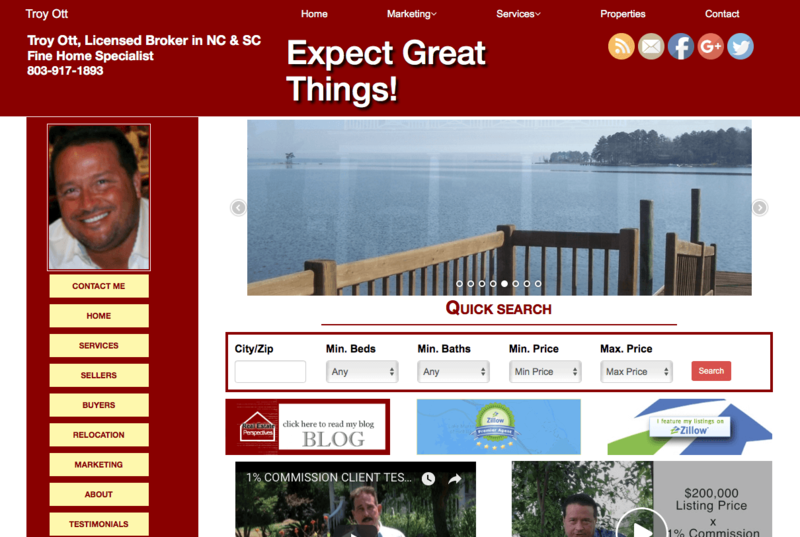 If you’re looking for great real estate agent website design, we can help. We use the latest in technology to provide you with the best online marketing presence at the lowest price. Our unique partnership with a cutting-edge website designer, Real Internet Sales and IDX/RETS Software, Brokerlead, allows us to bring the latest and best technology to you at a fraction of the cost of most websites. Furthermore, we understand the unique needs of Realtors and other real estate professionals. We can maximize your budget by allowing you to buy components only as you need or want them. For instance, you can purchase the website only and add neighborhoods later as your marketing budget allows. Or, if you’re an agency, you can pay for the basic agency site and let your agents purchase their agent page. There are as many configurations as you can imagine and you can keep adding until you have your optimal product. Better yet, our service packages allow you to have one consultant that is responsible and accountable to you for all your marketing and technology needs. Think of us as your own IT Department and Marketing Department for your real estate business!